Wilson Beef Farms is a 350 acre farm located in a small community in upstate New York, in a city named Canaseraga. 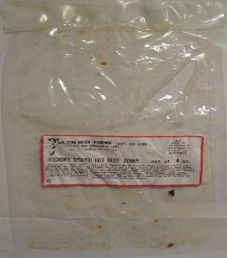 This jerky is distributed under the same name, Wilson Beef Farms. In 1976, the owners Jack and Ann Wilson decided to market their beef to customers. In 1980, they bought their own slaughterhouse. In 1987, their son Chris and his wife Bernadette purchased the farm. Eventually a smokehouse was added, where they started making jerky. The Wilson’s grow the corn to feed the 300 head of beef cattle and 500 hogs annually. The cattle raised at Wilson Beef Farms is advertised to be hormone free, classifying this jerky as ethically raised. Their cattle also have access to graze on grass, which means the cattle have free range, a natural part of a cow’s diet for thousands of years. The only liquid used in the marinade is water. The other sauces are in powder form, such as Worcestershire sauce powder and soy sauce solids. Using a sauce in powder form is cheaper to purchase, but more processed. Some healthy spices used are garlic powder and onion powder. With this being a hickory smoked hot flavored jerky, the spiciness comes from the crushed red peppers and cayenne pepper, both of them containing multiple health benefits if eaten in moderation. This jerky does use sodium nitrite as the main preservative, apart from salt. Also used is another preservative named a sulfiting agent, used to keep the appearance of food fresh looking, and believed to be quite unhealthy. Then, to top things off, this jerky is dipped in up to a 5% solution of the also unhealthy preservative potassium sorbate. This jerky does not qualify to be MSG free. 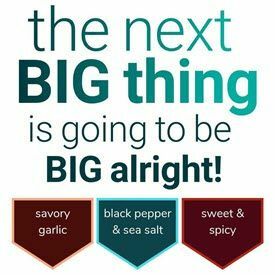 There are unbelievably six highly processed flavor enhancer hydrolyzed based ingredients listed. These hydrolyzed ingredients are also an unhealthy type of trans fats. My notes do indicate that this hickory smoked hot flavour jerky had a decent taste. There was some spiciness to this jerky, where it earned the description of being hot. The texture was somewhat dry, a good overall texture. The 4 ounce/113 gram bag of jerky that I purchased online in 2012 cost $6.50. Using prices from today, this bag retails for only 50 cents more at $7.00. Using the price from today, that works out to $1.75 an ounce, which rates as an average price. Given how unhealthy this ingredient list was, I cannot recommend consuming this jerky on a regular basis. This is a somewhat unusual transparent plastic bag. It is rather tall and narrow, with what seems to be a fairly thin plastic. This bag is not resealable, nor is there any slits to open this bag easily. You are pretty much forced to find a sharp object like a knife or scissors to open this bag. There is a small label affixed to the front, and nothing on the back. There is some sort of logo printed, which is a bit odd, showing a cows head, a bell, and the front leg. There are a number of bag categories missing here. Things such as the weight not stated in grams, a blurb about Wilson Beef Farms, a best before date, bar code, allergen alerts, not being resealable, slogans, originality, and a nutrition facts table. Granted, this label is too small to accommodate all bag categories. Wilson Beef Farms does deserve credit for displaying a phone number for customer inquiries.